Over the past two decades, ever since vocalist / guitarist Chris Bay founded Freedom Call in 1998, the charismatic front man has been perplexed by a pleasant problem; his wealth of inspiration goes beyond the stylistic and thematic scope of his own band. "I permanently write songs and am constantly working on ideas in the studio," he explains. "That's why I've collected a whole lot of tracks over the years that on the one hand don't really suit Freedom Call and on the other are just too good to gather dust in my archive." 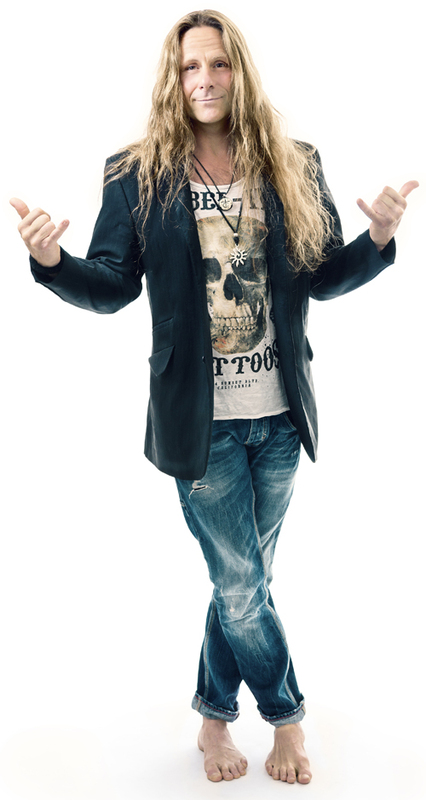 The upshot of his positive predicament is that on February 23rd Steamhammer / SPV will release his soaring debut solo album 'Chasing The Sun'on CD, download and stream. 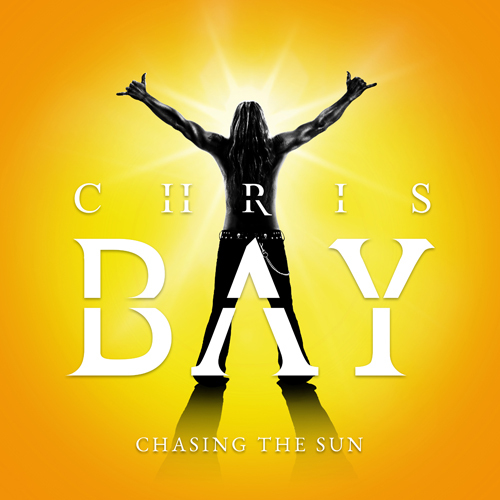 Although the eleven captivating compositions contained on 'Chasing The Sun' were created over a very long period of time, reflecting the music that has inspired him since the very early days of his career, Chris recorded and produced the whole album in Spring 2017 in his own studio. When Bay first started to play the guitar at the tender age of five, "Rolling Stones or Beatles, good or bad," was the big question at the time. "Only a few years later I got the 'Beatles Complete' music book, which I played up and down for the next few months. Groups such as INXS, Spandau Ballet, Simple Minds, Ultravox and Saga also had a lasting effect on me. Their music has a unique atmosphere which has always inspired me." Chris, who also took up piano lessons from the age of ten, played all the instruments on 'Chasing The Sun' himself, with the exception of percussion; "Ramy Ali was in charge of the drums; he's not only the drummer of Freedom Call but also one of my closest friends." Achim K�hler (Martin Kesici, The Hooters, among others) mixed and mastered the album. Bay poured his soul into the lyrics, dealing with subjects which have always been close to his heart. He states that "It's about love and experiences which give hope and can perhaps even help to solve the odd problem. After all, life consists not only of sunny but also of cloudy days." As a result, alongside upbeat rock songs written in characteristic Chris Bay style, such as 'Radio Starlight', the first single to be taken from the album, are darker, more atmospheric tracks like 'Where Waters Flow In Heaven', with its slow shuffle groove, gorgeous tinkling Wurlitzer ivories and haunting, cascading choruses. Most of the time though, Chris can't stop his optimistic nature and sense of humour shining through on songs such as 'Hollywood Dancer', which examines the downside of success in a not altogether serious way. "It's a tongue-in-cheek lyric; the public eye is always directed at a star, so basically that person can't really move freely at all. Naturally people envy stars their success, but at the same time for these � as I call them � extreme celebrities, popularity often goes hand in hand with great loneliness." Thankfully, Bay doesn't belong in this lonesome elite. However, as a result of Freedom Call's success, he does enjoy considerable renown worldwide, which has opened many doors for him over the years, and will no doubt benefit 'Chasing The Sun', a gloriously melodic, surprisingly diverse gem of a debut album.